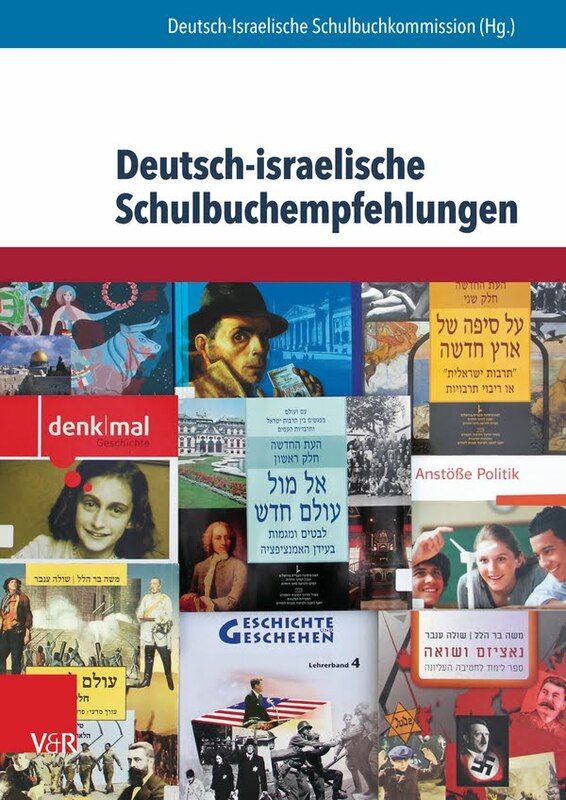 ניקול דקוסטרה היא המתרגמת מאנגלית לצרפתית של ספריו של פרופ' מתיו ליפמן שעוסקים בפילוסופיה עם ילדים. Our society has become – and still becomes – more and more cosmopolite. Which entails many important consequences, as well as cultural social, political and individual. It also changes the type of interpersonal relationships. Cosmopolitanism, opposed to nationalism, is often denigrated by it and also by the ideologies of identity. A. Here is the motto of nationalism: « one nation, one State ». The State is a political entity, while the concept of nation refers to origin, race, nationality, language, religion, and traditions. Nationalism is not new: in History, those who didn’t belong to any state have always been rejected: Gypsies, Jews and all nomads in general. Nationalism during the first half of the nineteenth century was not directly a factor of exclusion. 1789 creates a nation together with an ideology of universality. On the contrary, it has been a factor of liberation for populations attributed without their consent to the biggest European States at the sharing of Napoleon’s Empire in Vienna in 1815: new States were created in Central Zionism arose at that time. In the twentieth century, nationalism has rejected all that doesn’t belong to a given State. It was at its paroxysm during the Nazi period. There are still nationalists nowadays, but not so important, in the extreme right-hand parties of all countries, particularly in the ideologies of identity supporting a certain form of regionalism. B. Cosmopolitanism is also not new. It is very old. For Wikipedia, it is a concept created by Diogène de Sinope, made of two Greek words, cosmos (world) and politès (citizen). It expresses the possibility to be native of one place and to be able to touch universality without loosing one’s specificity. - In the sixteenth century, Comenius was a cosmopolitan. He was in favour of a cosmopolitan education and the edification of an international organisation of public education. - The eighteenth century developed the idea of universality of the values in the name of the unity of mankind. 1789 creates a nation together with an ideology of universality. - The twentieth century developed the idea of World Citizenship and of universalism. A World Citizen refuses any discrimination. Einstein declared himself Citizen of the World (he found nationalism a childish disease) and he supported Garry Levis, the first American citizen to declare himself World Citizen. He was in favour of World Government. The facility of the world travels, the delocalisation of enterprises and of people, the development of tourism all over the world, and of course the progress of electronic means of communication have contributed to develop cosmopolitanism. Results of that have been, among others, the creation of the League of Nations after the First World War and the Universal Declaration of Human Rights after the second one. - on a cultural level, it enriches life through the meeting, the understanding and the welcoming of other styles of life, of other ideas, other manifestations. A cultural plurality is the beautiful side of cosmopolitanism. It is interesting to note here that while multiculturalism is only a juxtaposition of cultures, interculturalism makes them collaborate. The first favours isolation, creation of ghettos, the second one supposes deep relationships between cultures. o facilitates our eventual insertion in a different society and constitutes an excellent preparation to the journey. - As most of the social groups press their members to make them respect the norms and traditions of their group, it entails problems when facing cosmopolitanism. - Anomy can happen when an entire society or a social group begins to desintegrate, or if one person feels excluded from the group he or she belongs to. Does education adapt itself to the movement? It seems to be the contrary… School doesn’t serve its traditional pedagogical purpose. Teachers are overwhelmed, teens and children are bored, play up, drop out of school. What is the place given to the relationship to the student, to his or her own experience? Has a class nowadays the right or the permission to make research, to exercise a critical thinking? - sense to give to the world? - Its responsibility and its limits? - A global and updated knowledge? - questioning and philosophical dialogue? Now, the societal change, particularly globalisation, needs absolutely a good judgment. Here I refer to Matthew Lipman and his program of Philosophy for Children (P4C), which seems to me very useful, in any country or any continent, as well as in any occasion, to discuss philosophical or ethical problems. It seems still more important to treat of that vast change of society. And not only of those societies that are threatened by exclusion: globalisation touches every country, every person, directly or indirectly (some societies are even threatened of disappearance, for example in Amazonia). As many of you know, you can find his theory of education in Thinking in Education (one of his books I translated). For Lipman, a higher order thinking is a thinking which is at the same time critical, creative and caring. Conditions to attain a good judgment. What is for Lipman a good judgment? - It involves self-correction, which permits to discover one’s own weaknesses and to correct one’s errors. - It must take in account the difficulty to translate a sense from a given context to another, or from a language to another. The philosophical community of inquiry, main tool of Matthew Lipman, is excellent to develop the sense of an intelligent and ethical cosmopolitanism, based on democratic principles and on ethical values. - Attention not to confuse a community of inquiry with simple communities of scholars. - Let’s not confuse also the CI with an apprenticeship in-group. The philosophical dialogue characterizes the philosophical community of inquiry. What are the differences between conversations and discussions? Between conversations and dialogues? Between conversations and debates? What is the relationship between conversation and communication? All these questions have to be analyzed in the CI. Dialogue is not absolutely without any intention. It can contain persuasive arguments. But, contrarily to the conversation, it constitutes a form of inquiry. For example, to declare that things are different requires inquiring about what makes a distinction between them. In a dialogue, every argument can provoke a counter-argument, which goes beyond the other. What is the specificity of the philosophical dialogue? Nearly everything can be the subject of such a dialogue. In fact, it is easier to say what it is not than what it is. The problem is to recognize the philosophical questions and to identify the ones that are sufficiently important to merit an inquiry. Many teachers use techniques of care without any philosophical perspective. For example, when this sort of question arises: why do some people exclude others? Or: What does a person feel if she or he is excluded (or thinks she or he is)? Those questions are more concerned by psychology and miss a philosophical analysis. After such a question, children will of course answer that it is bad to exclude (message that the teacher wants to inculcate…). And at the same time, those who exclude will have a feeling of culpability, thus bad opinion of themselves. What is important here is rather to make the persons become aware of that sort of behaviour to become able to control it. Of course, if the philosophical discussion about that can begin with an empathic exchange of roles, it has to go further, to perceive in the long term the implications and the ramifications. One of the objectives of a philosophical community of inquiry is to determine to where a group can encourage creativity of its members, even if the individualistic expressions can constitute a danger for the unity of the group. Moreover, those who rebel against the customs and the traditions can probably understand that the group is perhaps attached to them only by need of self-protection. The true dialogue allows the I to meet the you, as Martin Buber says in I and Thou (1935). For him, that meeting has nothing to do with empathy, which he considers as a loss of one’s specificity by that projection in the other while dialogue enlarges the I. Dialogue rests on reciprocity and responsibility. That meeting of the other particularly interested Ann Sharp. She writes in one of her articles that a hard lesson to draw from contemporary History with its innumerable losses of human lives in wars absolutely not necessary, is that you cannot imagine what is good for others, who are different, if you don’t know what they think good for themselves. For Hannah Arendt, to really understand what a person thinks, it is also necessary to understand how she or he thinks. o Calls for imagination combining critical thinking, creative thinking and caring thinking. That is to create links between the different points of view, to understand the feelings of people whose views on the world come from their own context, to have empathy towards them while remaining themselves and using one’s critical skills to be able to arrive to a judgment. The participants are guided by criteria. 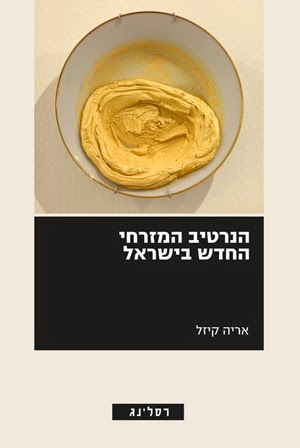 o Suppose – and Lipman is much interested by the language and its apprenticeship – that the interlocutors can tell their own story and express their point of view. It means that they have to master a common language and also that they have a place to do all that. That place has to be sure, without ridiculous and without blame, where the cooperation replaces the competition. It is an ideal place to cultivate reasonableness, a positive affective life, and even an aesthetic sense, in a stimulating atmosphere. o Through reasonable discussions, the participants learn to appreciate their intellectual interdependency. o The philosophical community of inquiry represents a modern form of democracy: the participants coming from different horizons, with their different interests and attitudes become partners and can express themselves freely. o The philosophical community of inquiry has its own methodology: reading, questioning, discussion. 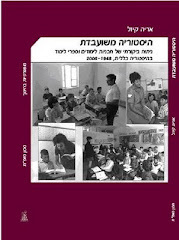 o The material used: novels and manuals made by Lipman and his team for the students, even for children of 3rd Kindergarten. The novels modelize several ways of thinking and of situations. New material is also conceived in the same spirit. And of course it is possible to practise that methodology with stories of participants about their own experience, or with a TV broadcast, with the visit of an exhibition or even with a conference by a specialist. That material proposes very interesting exercises for that problem of a cosmopolitical education. For example, exercises on traditions, on exclusion and inclusion, on classification, on building one’s identity, on apprenticeship by the entourage. And so on. o The philosophical community of inquiry develops skills and habits of the mind: questioning, research, respect for the other participants, empathetic listening, courage of one’s opinions, curiosity, and so on. o The philosophical community of inquiry helps to go deeper in dialogue and argumentation. - Is far from beliefs, convictions and prejudices. It is the place to discuss about the necessity - or not - to revise a conviction, to adapt it to new circumstances. Or to discuss of traditions that may impeach progress or adaptation to new situations created by cosmopolitanism. - Those pacific confrontations of ideas for the purpose of progress constitute at the same time applied free thinking and an experience of concrete democracy where the young people, conscious of their own roots, will learn to socialize themselves. 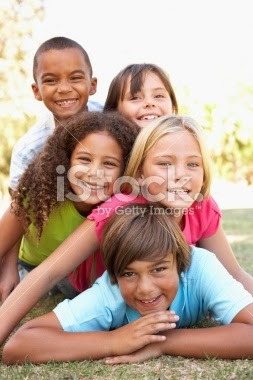 - Children discover that they can use the experience of others and even benefit of it. - And in the case we are treating, the objective is to learn about other societies and to be able at the same time to reflect upon that new knowledge. What are the obstacles to a sound vision of cosmopolitanism? - Stereotypes. Thanks to the philosophical community of inquiry, if they don’t disappear totally, they loose power. - Mistrust towards others can be annihilated. - Openness to other cultures is facilitated. However, we live nowadays a paradox: globalization concerns all domains and is effective. But it genders to some people a fear and an identitarian closure, even a tribal one. This is another reason to use the philosophical community of inquiry to try to counter that political (populism) and cultural danger. Moreover, in a community of inquiry of teens of 14-17, it is important to verify if they possess enough knowledge in geopolitics to be able to understand internationalism and its stakes. The proof exists through many experiences and evaluations that the program of Philosophy for Children can help school to get out of the difficulties. The remarkable work of Matthew Lipman is a humanist one. Of course, it is not protected from manipulations or of clumsiness’s. Lipman is deeply pacifist, deeply democrat. We can find nowhere a direct defence of peace or an open critic of violence as main subjects. A violent act can be a good opportunity in a class for a reasonable dialogue, not precisely about the act itself, but about the context, the reasons – good or bad – that can have provoked it. It is not necessary to get interested directly to the concept of peace to engage oneself in education for peace. Nowhere can we find discussions about those subjects that preoccupy so much the adults today: drugs, use of TV or of Internet, and others. No discussion about cosmopolitanism. 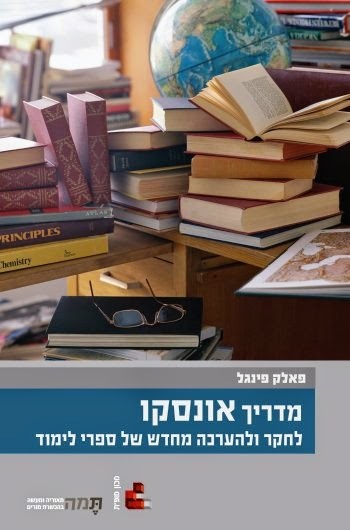 Exercises in the manuals can be used to treat it: for example, in Lisa, Ethical Inquiry, Lipman suggests to the teachers that they ask their students what a community of inquiry could consider as intangible and which traditions it would favour. Or what is the difference between traditions and institutions. Why the concept of community corresponds to that of inquiry. Or if a modern society can constitute a community. Or if they think that a world community respecting diversity can exist. Young people have to become able to make their own opinions about all that and, in consequence, to act. What Lipman does is a deep work on the bases of the thinking. He has no system. Let us hope that such a vision of education will become rooted more and more! If P4C has acquired certain recognition, it is thanks to people who are convinced and engaged in educational experiences in various contexts, in the translation of the material and in the elaboration of new material.